Bruce and his wife, Debbie, have attended and volunteered at River Ridge Church since 2005. In the summer of 2017, Bruce left his job as the Information Technology Manager for the Kanawha County Assessor’s Office to join the River Ridge staff. 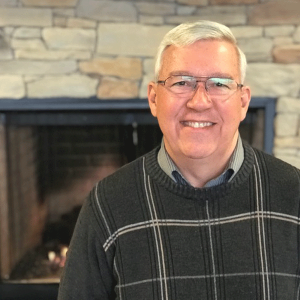 As the Groups Pastor for the Charleston campus, Bruce is responsible for the oversight, development, and support of Ridge Groups and for congregational care. He loves the opportunity he has every day to help people grow in their knowledge of, love for and relationship with Jesus Christ. Bruce was born in In Sewickley, PA and has a BS in Civil Engineering from Penn State and a Master of Business Administration from Marshall University. Bruce served for 4 years as an officer in the United States Marine Corps and also worked for Columbia Gas Transmission Corporation for 16 years in various engineering positions. Bruce has been married to his wife Debbie for 41 years and they have 4 daughters. In his free time, Bruce enjoys riding his motorcycle in the mountains of West Virginia.